Compiling a bucket list for Edinburgh is both an easy and hard task, it’s a city where there is so much to see and do. 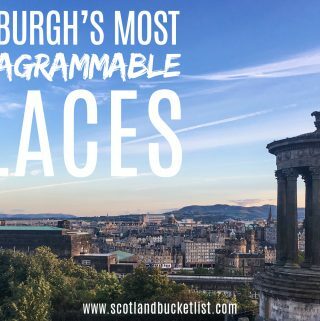 Having had the experience of being an Edinburgh local for many years, I hope there will be a few unique items on this list for you too. Now where to start……? 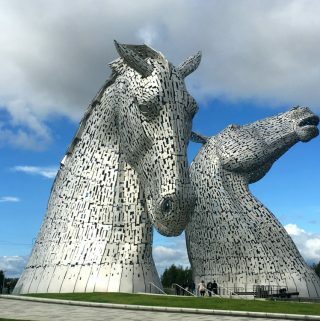 Controversially we’re not including Edinburgh Castle in this bucket list as we feel that it goes without saying that you absolutely *should* visit this iconic landmark. In fact, you can read all of our top tips for visiting Edinburgh Castle here! 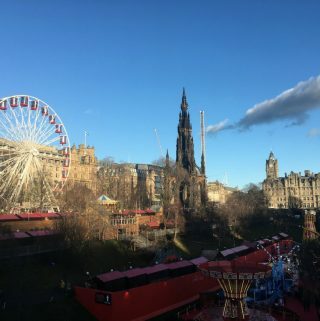 We’ve tried to cover most angles – must-visit Edinburgh sites, luxury, once in a lifetime experiences, ideas for the budget-conscious, suggestions for feeling like a local and some family fun if you have kids in tow. 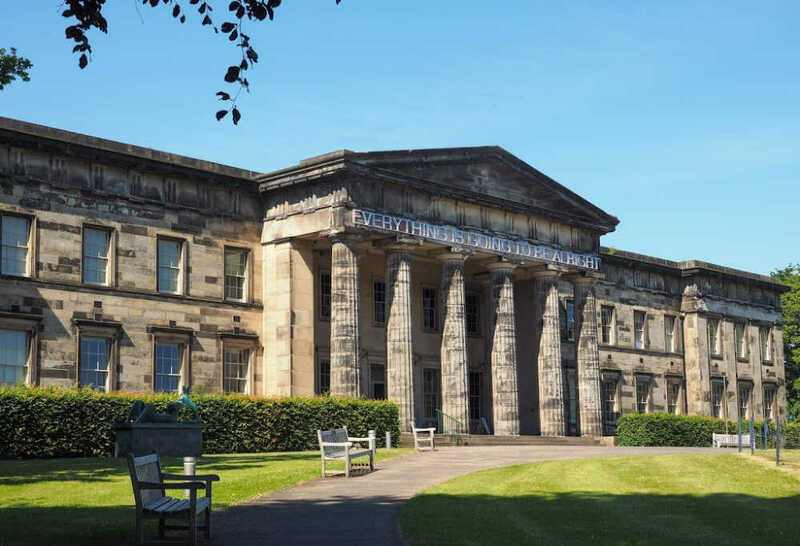 So if you’re wondering what to see and do in Edinburgh, here are our top suggestions of places to include in your itinerary. When she wasn’t in France or locked up in England, this was Mary Queen of Scots’ stunning palace at the end of the Royal Mile. And in more recent time, you’ll find Queen Elizabeth II staying here when visiting Scotland. In fact, every summer she calls this historical landmark home for 2 weeks. 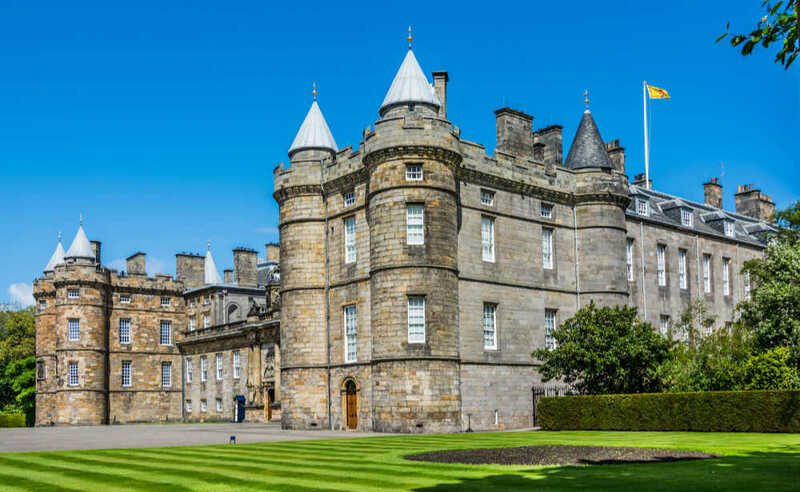 Dating back to the 12th century, Holyrood Palace and the adjoining Abbey are certainly old and have seen their fair share of famous personalities. 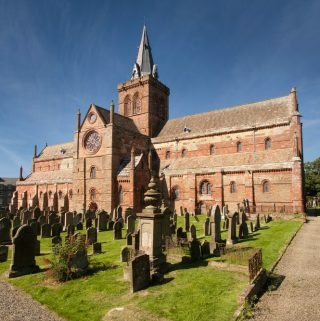 Kings of Scotland have been born, crowned and buried here. Mary Queen of Scots married here too and unfortunately witnessed the murder of her faithful secretary David Rizzio. Bonnie Prince Charlie enjoyed lavish parties in the Great Gallery when he arrived in Scotland to claim the throne. Over the years the original Palace has been rebuilt, extended and improved and it is now a sprawling and impressive Royal residence. My highlights are the state apartments, the throne room and the Mary Queen of Scots Chambers, which also happen to be oldest part of the Palace. 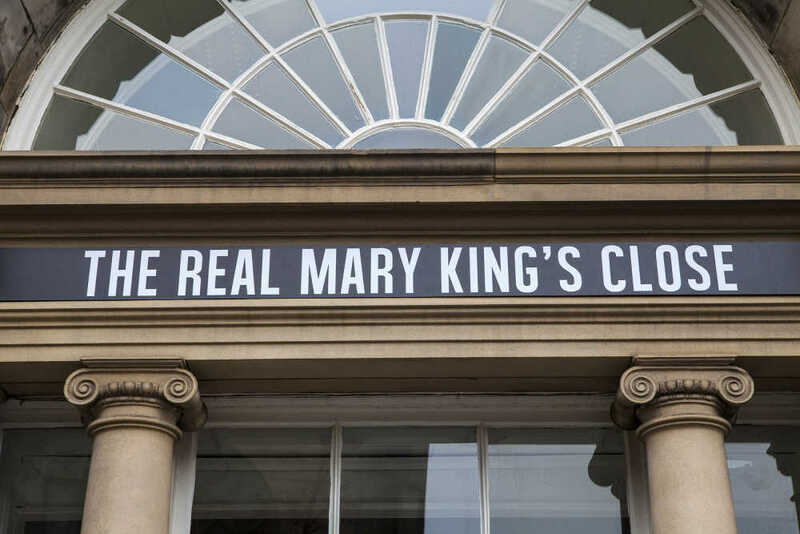 It’s also in these rooms, where you can see some the embroidery created by Mary during her time in captivity. She was incarcerated in England for 19 years by her cousin Elisabeth I. Other attractions are the beautiful Palace Gardens, Holyrood Abbey ruins and the Queens Gallery which houses some great paintings. Although please be aware there is an extra charge to visit the gallery. And in the mews café, you can dine like a King or Queen and enjoy an afternoon tea complete with champagne. 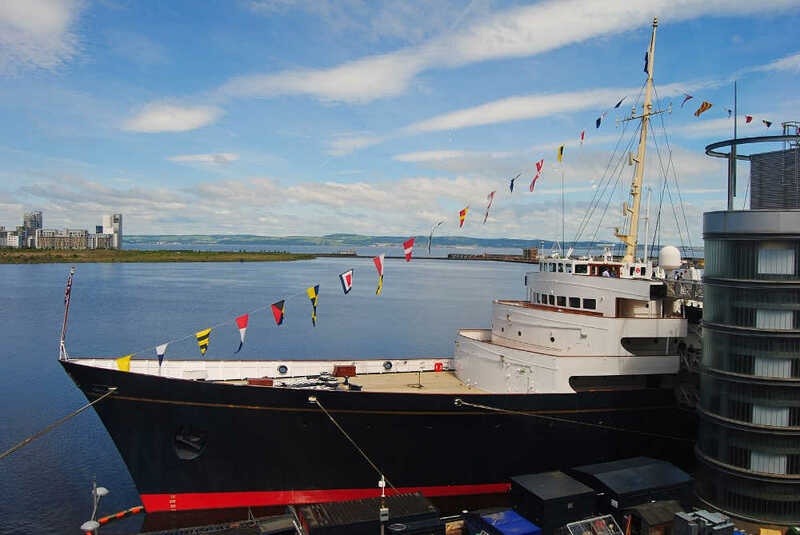 Carrying on with the royal theme… A short walk from the Shore, stands the sprawling Ocean Terminal shopping centre with access to the world-famous Royal Yacht Britannia. For over forty years this ship was a floating palace for the British Royal family. This vessel launched in 1954, transported the Queen and other royals, including Princess Diana, all over the globe, in typical understated luxury. President Eisenhower, Ronald Regan, Bill Clinton, Frank Sinatra and Nelson Mandela, are just some of the other interesting people, that have boarded over the years. So why not join them and explore the elegant apartments, the massive dining room, the impressive kitchen and even the spotless engine room. A multi-language audio guide for adults and kids is available free, so that you get the most out of your visit. Also, on board is a cool royal themed giftshop and a café serving home baking, with views of the sea. » Catch Lothian bus number 22 from Princes Street – check their website for timetables and bus routes or download their handy app. Or the 900 (airport bus), 904 or 909 City Link buses. 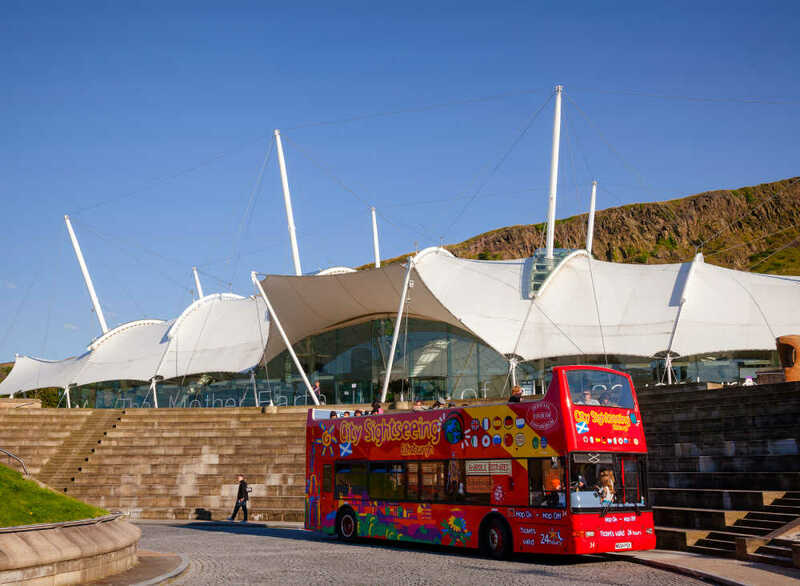 » Alternatively, catch one of the many Edinburgh tourist buses that stop off at the Ocean Terminal – check their websites here. 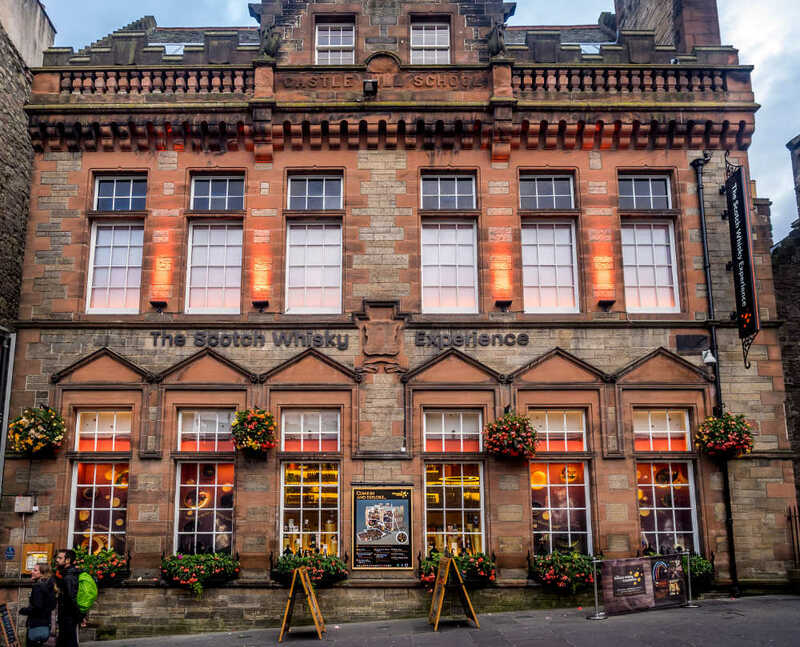 As a tourist, it’s all most impossible to avoid the Royal Mile or indeed whisky, so why not combine them both and visit the Whisky Experience. 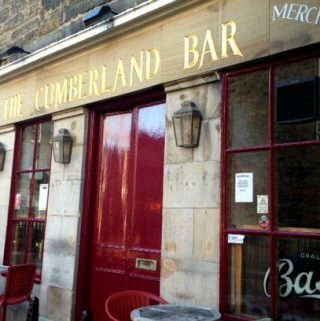 Located at the top of the Mile, close to the castle, it’s a mecca for anyone that adores Scotland’s amber nectar. Although it’s not just about drink, the food in the restaurant is amazing too. Once inside, you can choose from an attractive range of tours. Prices range from £75 for the Taste of Scotland, which includes delicious Scottish tapas, to The Silver Tour for £16. We went for the Platinum Tour costing £39, you receive expert tutoring while tasting 4 different whiskies. In addition, you get to walk away with a special crystal whisky tasting glass. All tours include a unique ride – sit inside a whisky barrel, while you are transported through the various stages of whisky production. It’s fun AND educational! There’s also the chance to drool over the world’s largest collection of Scottish Whisky: dreams do come true. It’s also possible to eat in the relaxed Amber Restaurant without purchasing a tour ticket, the cuisine is beautifully Scottish and uses locally sourced ingredients. Perhaps you’re visiting Edinburgh on a shoestring? We’ve got you covered too! We have some unique suggestions for making the most of your stay in the capital even if you’re on a budget. 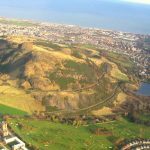 Arthur’s Seat is the name given to the striking hill that sits right in the middle of Holyrood Park, at the bottom of the Royal Mile. It’s 251 metres high and started life as a volcano. Exploring Arthur’s Seat feels like you are hiking in the Scottish Highlands, there are wild lochs, a ruined chapel and beautiful glens. 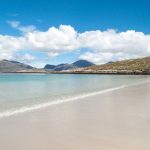 Depending on your capabilities there are different routes to the top – the easiest is to follow the road up and then take the little path opposite the loch. On your way up, don’t miss the Salisbury Crags, an impressive 46-metre-high cliff and Samsons Ribs, a rock formation made from solidified lava. 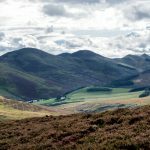 On specific dates, it’s possible to join a guided tour with a ranger, contact Historic Environment Scotland on 0131 652 8150 to book. Getting to the top requires a bit of effort, but on arrival the panoramic view of the city and the sea is a superb reward. If you can make it here for sunset, the experience is magical. 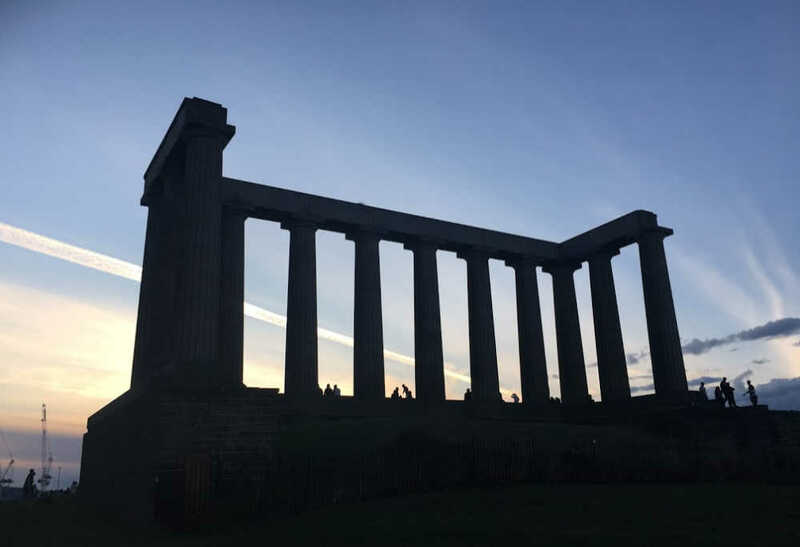 Edinburgh is lucky enough to have been built on seven hills and one of these is Calton Hill, conveniently situated at the end of Princes Street. The best access is just past the Edinburgh Playhouse with a reasonably gentle climb up a wide tarmac path, amongst parkland. As you ascend, the view of the city is slowly revealed. 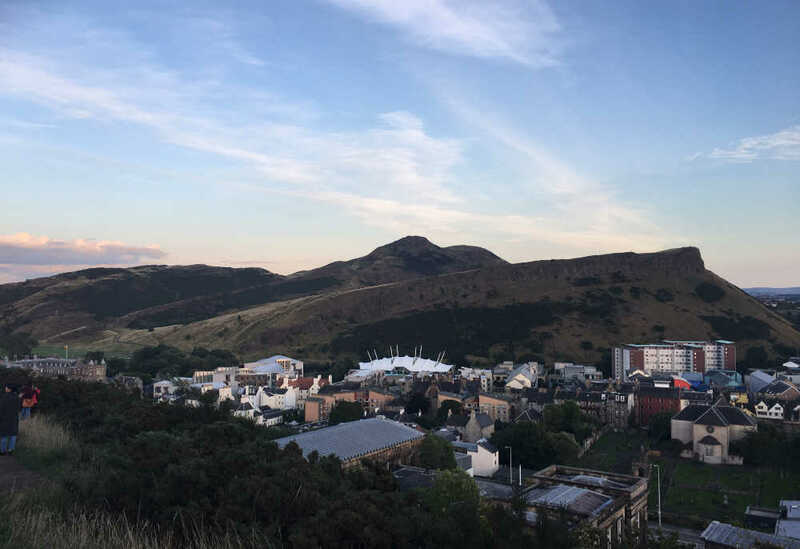 Once at the top, you’ll be rewarded with an amazing 360-degree vista of the spectacular urban scenery that makes Edinburgh unique. In the distance, the Pentland Hills, the Port of Leith and the Firth of Forth emerge on the horizon. Just opposite, there is a superb and unusual view of Arthur’s seat together with the Salisbury Crags. But the best view for me, is towards the Balmoral Hotel, down Princes Street and to Edinburgh Castle beyond. Catch this at sunset and the setting is nothing short of magical. Stand in awe as the golden sun slowly melts into orange, then gold, as it throws a glorious glow onto some of Edinburgh’s most beautiful buildings. Apart from the view, there is the grand neo Greek style National Monument, an observatory, Nelson’s Monument, the Collective Art Gallery and the new Lookout Restaurant. The restaurant was built on the site of the old gardener’s cottage – it now has floor to ceiling glass and is suspended over the cliff edge on a cantilever system. This all adds to the amazing dining experience. Victoria Street believed to be JK Rowling’s inspiration for Diagon Alley in Harry Potter. 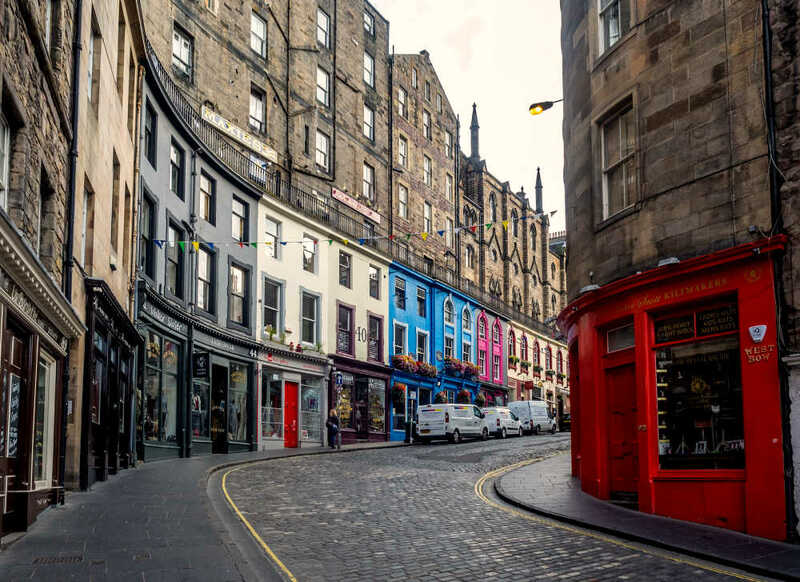 Just around the corner from the Royal Mile are the attractive multi-coloured buildings that make up Victoria Street. This narrow hilly street dates from around 1830 and is gradually curved. It’s a little like descending down a giant spiral staircase on your way down to the Grassmarket. Victoria Street is lined with interesting, independent restaurants and boutiques, including a slightly eccentric Harry Potter shop set over 3 floors. It turns out that JK Rowling based Diagon Alley on this very street while writing in the capital. When the arc of the street comes to an end, the cobbles open out into a wide pedestrian space, known as the Grassmarket. It was a major market place for the city dating back to 1477, where livestock was bought and sold. The Grassmarket also features in the Disney film Greyfriars Bobby and it’s here that the dog’s owner lodges. However, this part of town is now famous for its nightlife with lively pubs and restaurants. One of our favourite bar’s in the neighbourhood is called the Beehive – it has a very traditional flavour serving quality old pub grub and cask ales. At the back, there is a beer garden with views to the castle. The building itself is something of an architectural marvel, combining real Victorian iron with a modern glass and stone tower. The upmarket Tower Restaurant sits proudly at the top and commands an amazing view over the city through wall to ceiling glazing. Contained inside are many interesting artefacts that piece together the history of Scotland through the ages. Some highlights include the Lewis man chess pieces, Sir Jackie Stewards F1 racing car, the millennium clock, steam trains, a skeleton of a T Rex and Dolly the sheep. There is also a brilliant interactive science area for kids, where they can programme robots, drive a F1 car simulator and generate electricity on a giant hamster wheel. Starting in the West End of Edinburgh, walk down the hidden cobbled path next to the impressive Dean Bridge. To start, access is a little steep, but when you meet the stream below, where Dean Village is located, it levels out. Dean Village is focused around an ancient set of watermills, in an attractive tranquil valley, minutes’ walk from the madness of Princes Street. It’s also a great place to try out the brilliant Water of Leith footpath that runs from Balerno towards the Pentland hills and on to the Shore area in Leith, a total of 20km. From Dean Village, it’s a pleasant 15-minute stroll next to the water, among trees and shrubs. There are signs for the gallery along the way making it hard to get lost. The gallery exterior has a very classical look with its massive Romanesque stone pillars, however, the sculptured gardens give away a few clues that all is not as it seems. 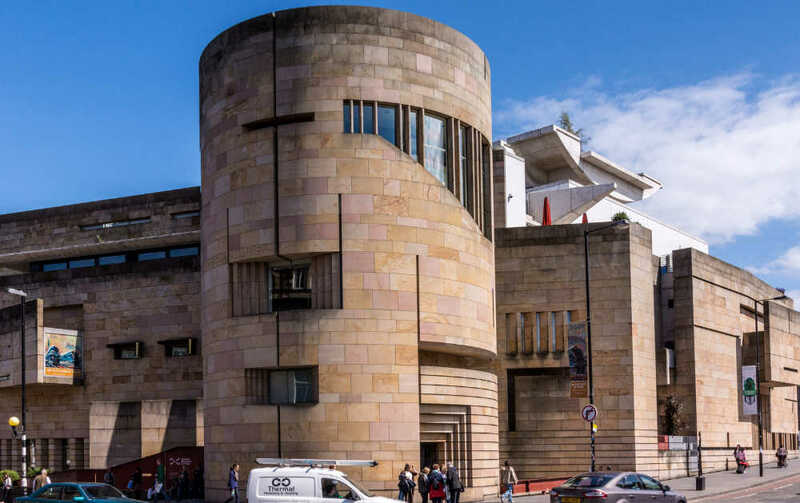 And indeed, once you enter the building and are surrounded by the creations of Joan Miro, Roy Lichtenstein, Tracy Emin and Salvador Dali, you realise that it’s perhaps more cutting edge than you first thought. 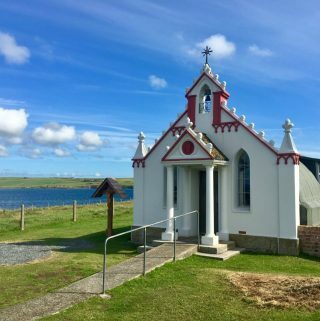 The gallery consists of two buildings, Modern 1 and Modern 2, both of which have excellent cafes with delicious home baking. 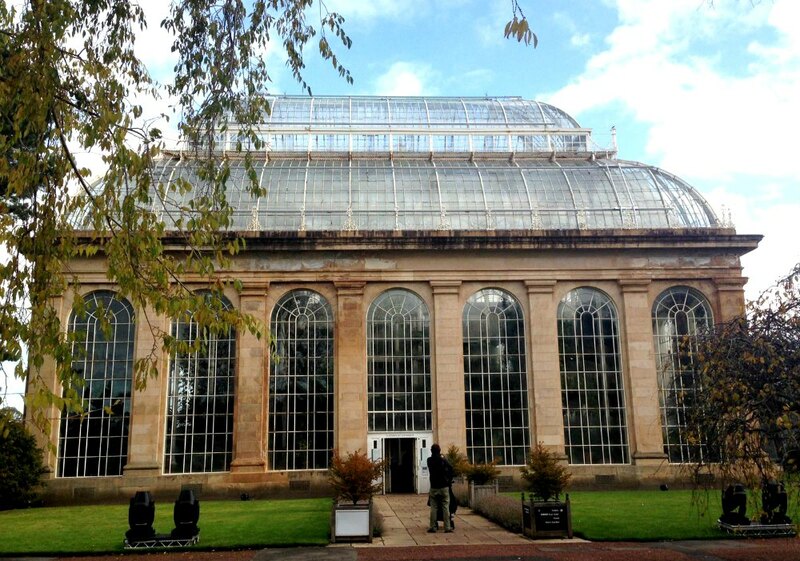 The impressive Glasshouse at the Royal Botanic Gardens. Edinburgh’s Royal Botanic Gardens date from 1670 and are only about a 25-minute walk from the hustle and bustle of Princes Street. However, within these 70 acres of green paradise, surrounded by the beauty of flora from around the world, the city could be a million miles away. Entry to the gardens is either through the East Gate, or the West gate where open top tourist buses stop. The East gate has a compact but lovely café and a small information centre. While the West gate has a full-blown visitor centre and upmarket restaurant with a lovely sun terrace. In the centre of the park is Inverleith House, an old mansion house, which also has a child friendly café and a terrace dotted with picnic tables. From the lawn outside the house is a spectacular panorama of the city skyline including the world-famous castle. The beautiful Victorian Palm House and its lush tropical plants are a definite highlight. There is also a waterfall, a Chinese garden, an alpine garden, a pond and loads of picture-perfect flowers and trees. Everywhere you look resembles a pretty water colour painting. And the best part is that it’s free, unless you wish to visit an exhibition in Inverleith house or venture into the glass houses. » Catch Lothian bus number 8, 23 or 27 from the city centre to reach the Garden’s East Gate – check Lothian bus’ website for timetables and bus routes or download their handy app. » Alternatively, catch one of the many Edinburgh tourist buses that stop off just outside the Royal Botanic Gardens. 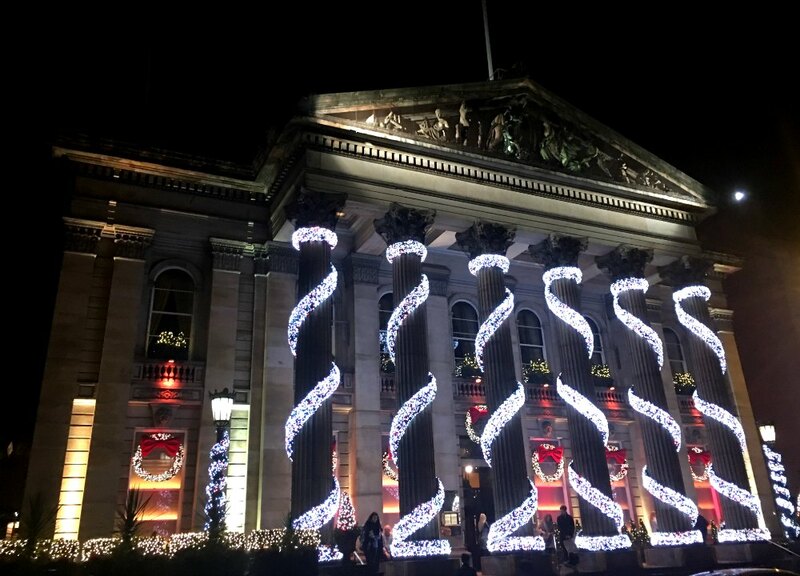 Established in 1835, located at the top of the very popular Royal Mile and within striking distance of Edinburgh castle, a whole world of illusions awaits you. Step inside and prepare to have every one of your senses tricked and your perception of reality tested. There are 6 floors to explore with the top floor housing the camera obscura itself. The clever contraption utilises of a system of mirrors that enables you to view the streets of Edinburgh in real time. It’s an attraction that is loved by both kids and adults. The vortex tunnel and the mirror maze win the contest for our family. Very close to Holyrood Park is the fantastic Dynamic Earth. From the outside, it looks like a cross between a giant white armadillo and a marquee so it’s easy to find. Here, adults and children can learn all about Planet Earth with the aid some great interactive displays. Travel back in time 4.5 million years and discover how the earth formed and developed. Inside you can experience what it feels like to be in an earthquake, visit the Antarctic and a take 4D futuristic flight. Top off your visit by seeing a film in Scotland’s only 360-degree dome style theatre. There’s a good café, gift shop and there is parking underneath the centre. The Scottish Parliament, with its impressive modern architecture, is just across the road and well worth a look too. Named after a local merchant, this 400yr old street complex, hidden deep in the bowels of the Royal Mile, was bricked up in the 18th century, until it was rediscovered and re-opened to the public. As with much of historic Edinburgh, many legends and myths surround this subterranean slice of the past. Step into the underworld and discover the stories of ghostly goings on, along with tales of gruesome murders. The close has featured on the TV series Most Haunted, Ghost Hunters International and the Sci FI Channel. Based on real people, the numerous guides, dressed in authentic costumes, help bring the Close to life and you start to feel like a resident from the past. Meet a poet, maid, plague doctor and a Foul Clenger. Find out what pleasant job he does on the tour…. Click here to buy your tickets. One of our absolute firm favourites! 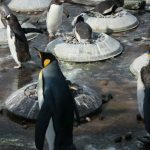 Edinburgh Zoo, located 3 miles from the city centre, is very easy to get to with regular buses leaving from Waverly or Haymarket Station. The zoo, built in 1913, is set on a sunny hill side, in 82 acres of parkland and after the castle is Scotland’s most visited attraction. The zoo really is a great day out, there is so much to see and do for both adults and children. Once inside take the little train to the top and then gradually walk down the hill, stopping at some of the 1000 rare animals as you go. Don’t miss the excellent daily talks about the animals by keepers, ask for details at the entrance. Eventually you will end up at the restaurant near the fantastic penguin’s enclosure, its ideal for lunch. Or if you are looking for a snack there are two cafes. I recommend buying tickets ahead here and downloading a map of the zoo, prior to your visit, from the Edinburgh Zoo website. This allows you to plan your visit, ensuring that you don’t miss any of the highlights. 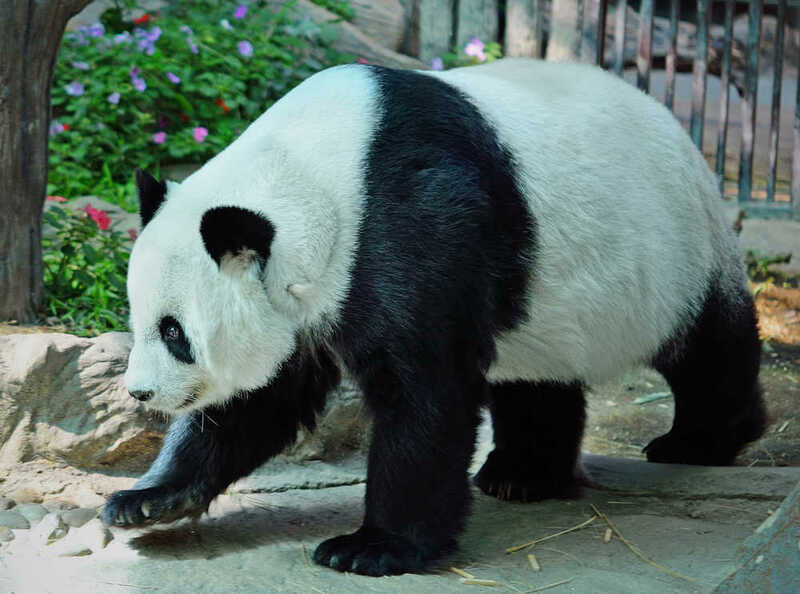 For our family the most adored animals were the pygmy hippo, giant anteater, koalas and of course the giant panda. It is in fact the only UK zoo where you can see a panda. If you do have kids with you then they will love the many play areas dotted around. » Catch Lothian bus number 26, 12 or 31 – check their website for timetables and bus routes or download their handy app. Hidden away in deepest, darkest Georgian New Town is a total gem of a public house, the Cumberland Bar. It’s a fab place to spend time on a chilly winter’s evening, or a sunny summer afternoon. 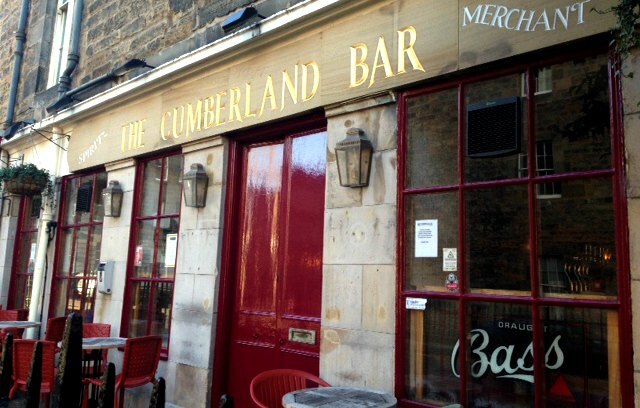 Outside, you’ll find something rather special for Edinburgh – a beer garden! There is plenty of seating amongst the trees on this quiet street and a very chilled atmosphere. Although my personal favourite time of year to visit is winter. Walk through the door, into the friendly warmth on a chilly evening and it feels as comfortable as wearing your old pullover. The interior is traditional, with character wood panelling and velvet seating. Sitting next to the fire with a fine Scottish Malt whisky is heaven. There is an amazing selection of spirts, ciders, real ales and wines to enjoy. It’s also a great place to eat with plenty of Scottish specialities and the traditional Sunday roast is seriously yummy. There is an option of 1,2 or 3 courses for this Sunday indulgence, starting at £12.95. 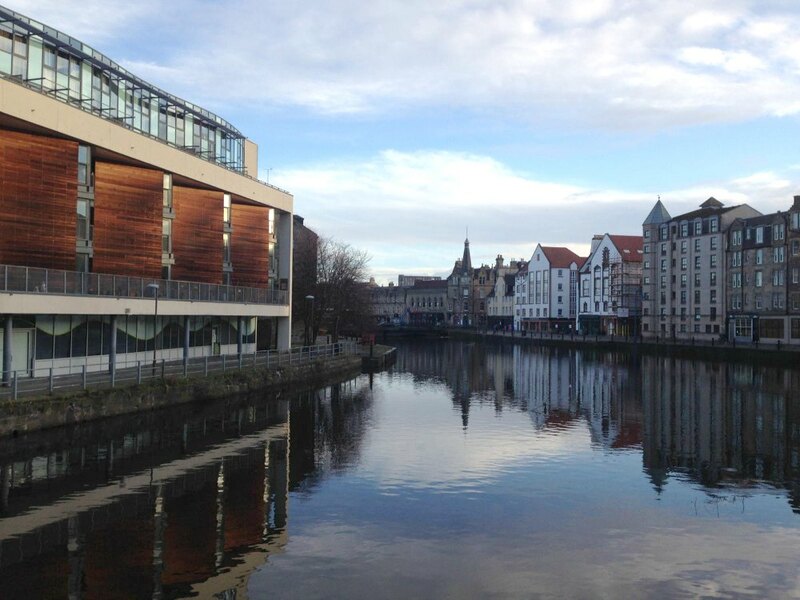 The Shore neighbourhood is a part of the Leith district and is focussed around the mouth of the water of Leith, which means the sea is not far away. It’s a 30-minute walk from the centre of Edinburgh, so the bus is a good option. Not so long ago, it was a place where industry thrived alongside whisky bonds. This area has been transformed over the last 10 years or so, older buildings have been restored or converted into trendy restaurants and bars. While new luxury developments have been constructed boasting penthouse apartments with sea views. On a sunny Sunday it’s fun to explore while soaking up the laid-back atmosphere next to the water. If you fancy a break, then grab a coffee and a cake at the lovely Mimi’s Bakehouse. There are some really excellent restaurants here such as Martin Wisharts and the Kitchin, which both have Michelin stars. But there are also other brilliant places to eat and drink, that won’t break the bank and if you like seafood, you will really feel at home. I recommend The Shore Restaurant and The Ship On The Shore, both situated on the waterfront. » Catch Lothian bus number 16 from Elm Row – check their website for timetables and bus routes or download their handy app. And now for a little luxury and unique experiences in Edinburgh… you might want to start saving up! Opposite the famous clock tower of the Balmoral Hotel, on North Bridge, stands the beautiful baroque building of the Scotsman Hotel. It was once the head office of the Scotsman newspaper, but it’s a now a top character-filled hotel. With its sculptured marble staircase, fine wood panelling and ornate stain glass windows, it’s a far cry from modern box architecture. This must be how Harry Potter felt when he entered Hogwarts for the first time. When it’s time for bed, the rooms, or suites, have a classical style, together with high-quality furnishings and a unique personality. 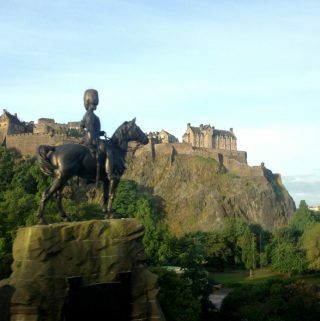 Depending on your room choice there could be jaw dropping views to Princes Street Gardens or even Edinburgh castle. There is a range of rooms and prices, but for a very special occasion choose the Penthouse suite. It’s set over 2 floors, with views of the castle, a roll top bath and an amazing private terrace and sauna. The only downside is perhaps the price at around £300 for a night. All rooms have White Company toiletries and you get a free dram of whisky on arrival, what could be better? Now time for some proper luxury: prepare for some serious pampering. Located centrally, just off Lothian Road, is the upmarket One Spa Health Club, part of the Sheraton Grand Hotel. There is an amazing fitness room, a dry salt room and a whole thermal suite, which should help take the stress away. In addition, there is a rock & bio sauna, a hammam and an aroma grotto. You can also go for a swim in the 19-metre indoor pool or the outdoor pool, which happens to be on the roof! It’s Scotland and the outdoor pool is open all year round but don’t worry it’s seriously heated. Relax in the special stainless-steel hydro pool and let your body be massaged by invigorating jets of water, all this with a view of the city. 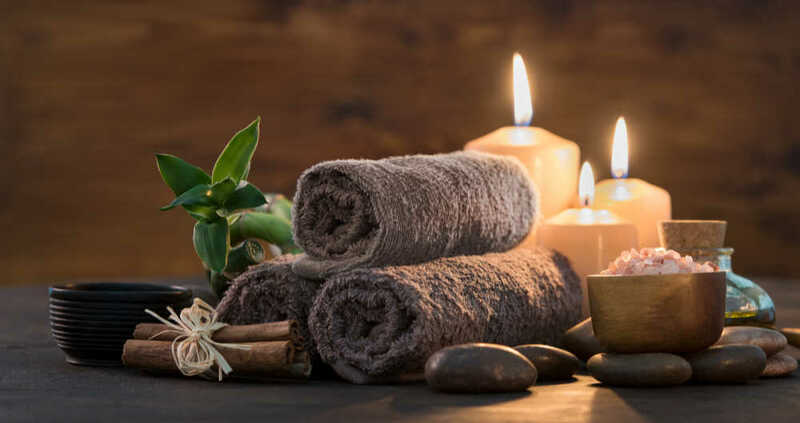 Different spa packages are available, from one of the many treatments, to a full day pass which includes a couple of treatments. On our visit we chose Escape at One which gives you 3 hours access to the facilities for £70. Why not book afternoon tea in the Palm court at the super posh Balmoral Hotel and dine like the queen? Take a seat beneath the ornate glass dome ceiling and Italian chandeliers, surrounded by tropical palms, while being serenaded by the sound of a harp. 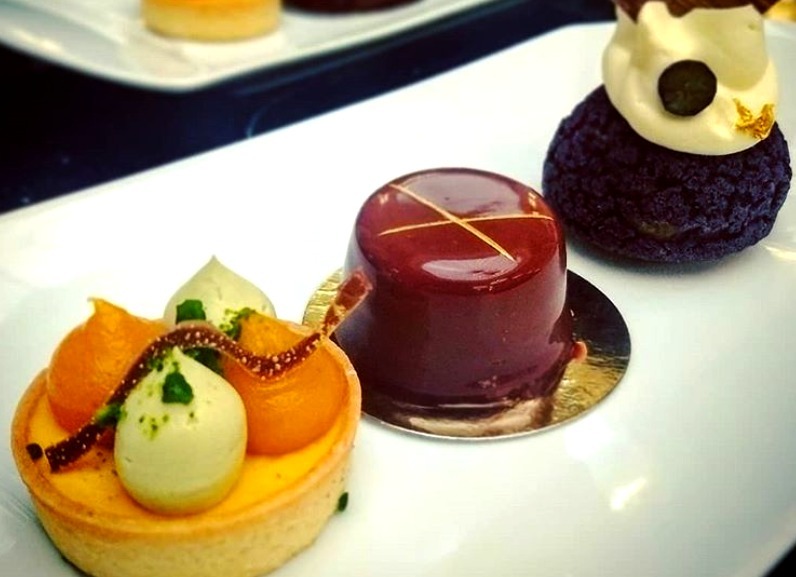 Add to this a glass of vintage champagne, a fantastic selection of delicate sandwiches and exquisite patisserie. Expect amazing service and attention to detail. I think you get the picture, it’s a very special experience and so very Edinburgh. 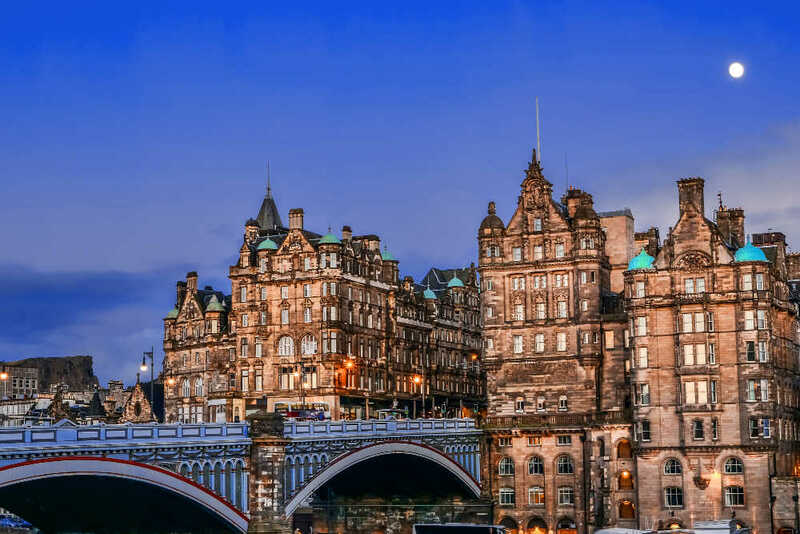 This is without doubt, the most up market hotel Edinburgh and the impressive building is a real landmark, with its iconic clock tower, looking down over Waverley station. J.K Rowling finished writing Harry Potter and The Deathly Hallows in room 552, and for £1000 you can stay there too. 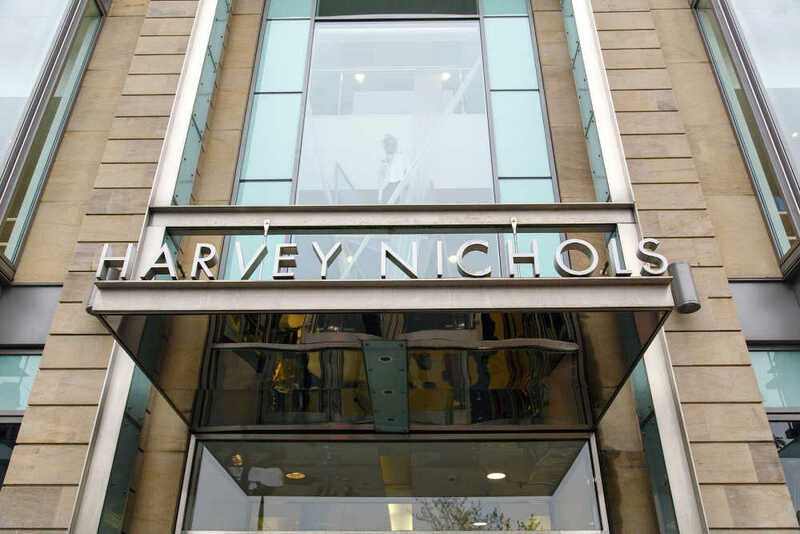 Continue with the bling by taking the lift to the top floor of the trendy Harvey Nichols department store in St Andrews Square. Arrive at the Forth floor (a cunning play on words, because of the views of the Firth of Forth) and take a seat behind the massive floor to ceiling windows. If it’s summer time and you are lucky with the weather, there is also a small terrace. There are some great views over the beautiful Square below and down upmarket George Street. Taking a seat here is particularly attractive on an evening around Christmas time, when the ice rink is installed in St Andrews Square, with its many glittering lights. But for me, the most impressive aspect, is the panorama of the Forth Estuary and Fife beyond, especially if you catch a sunset. Inside soak up the atmosphere, enjoy the mood lighting and chilled music, as you study the enormous cocktail menu. Prices range from £9 for a Mojito and £12 for a Champagne based Blood Star. If you fancy something a little more local, try something from the excellent malt whisky selection. Oh, and a choice of 15 different champagnes including a bottle of Cristal for £380! Or perhaps a glass of Harvey Nichols’ own brand for around a tenner is more realistic? 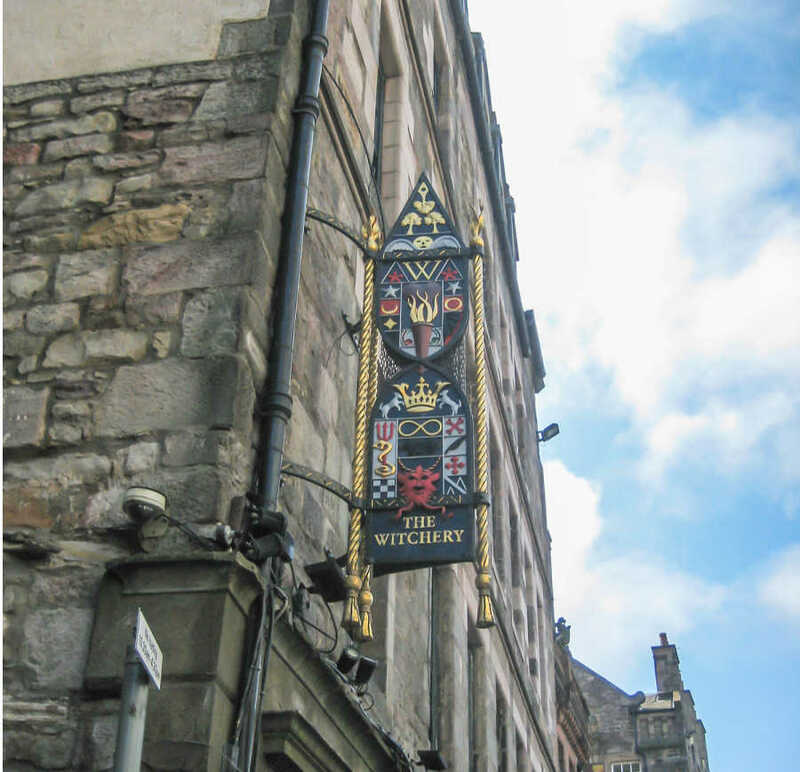 An Edinburgh institution, The Witchery has been established in the city for over 40 years. Having been lucky enough to eat at this restaurant previously, I can wholeheartedly recommend it as a very special place to eat. Although the experience is so much more than excellent food and a wine list that resembles War and Peace. Located a stone’s throw from Edinburgh castle, the baroque decoration and atmosphere are incredible in this historic building. You have the choice of sitting in the candlelit Secret Garden or the ornate oak panelled main restaurant. Both delightful rooms are incredible romantic, so probably a good idea to arrange a baby sitter, if you have kids. If you don’t fancy the journey home, then there are sumptuous suites above that have an almost theatrical quality. Although the price tag of £350, may mean you have to save a little first. Previous guests include Danni Minogue, Andrew Lloyd Webber and Catherine Zeta-Jones. A superb 3-course dinner here weighs in at £40 and lunch at around £25. Menus feature the finest Scottish seafood, game, beef and lamb, as well as vegetarian options. So magical during the festive period! The Dome restaurant and bar is located at the east end of George Street with its many classy boutiques. The imposing building was once a bank, the exterior will impress with its impressive architecture that includes 6 giant Corinthian columns. Inside, it’s pure opulence with carefully placed decadent furnishings. There’s a private dining area and a cosy bar, but the undisputed highlight, is the light and airy grill room. A beautiful circular oak bar sits in the middle of a Roman style mosaic floor, while the towering walls topped with ornate cornicing, reach up to the gigantic glass dome ceiling. It’s a stunning place for lunch, or dinner, or a drink. It gets very busy around the bar area in the evening, with tons of atmosphere, but for me lunch is the ideal time to visit. It’s like a tranquil oasis with light flooding in from the glass dome giving it an alfresco feel. Three courses will set you back around £20 and a bottle of wine starts at £22. The generous cocktails menu ranges from £8 to £12. If you happen to be visiting around Christmas time, then prepare to be blown away, by the famous Dome decorations! A trip to this institution marks the start of the festive season for us. For the month of August, Edinburgh becomes the world’s largest stage, as performing artists descend from around the globe to take part in this unique event. The atmosphere is electric as the city’s population doubles and every bar and restaurant is thronging with life. There are shows everywhere, from somebody’s front room, to a huge theatre and anywhere in between. Some amateur productions are free, although it’s best to have a lower expectation. 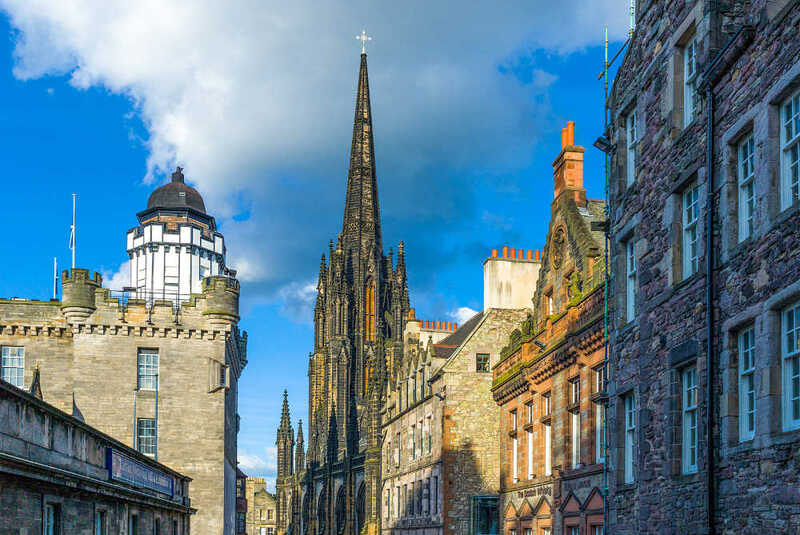 Stroll along the colourful Royal Mile and experience some wacky free street performances, while being handed flyers by actors dressed in bizarre costumes. It’s a surreal experience. During the festival, Edinburgh is a place where anything can happen and most likely will. If you visit in the first week of August as performers warm up, there is a good chance of half-price tickets. 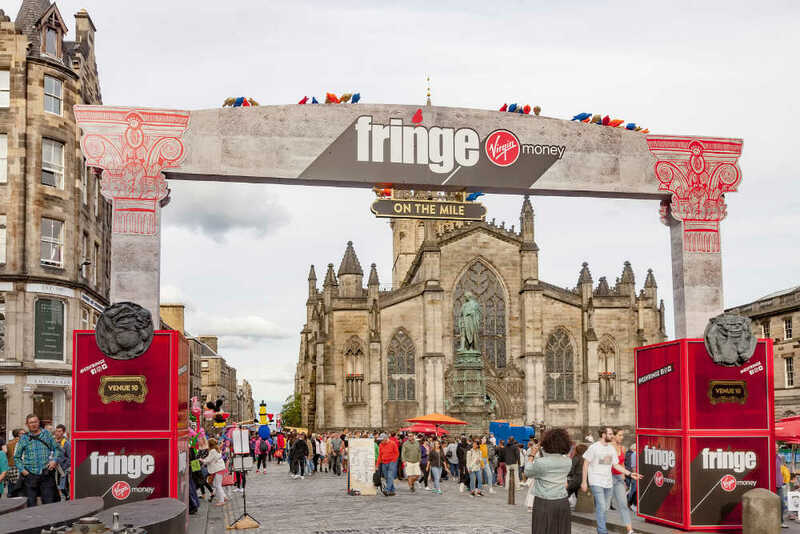 Many famous people began their careers at the Fringe – Billy Connolly, Steve Coogan, Robin Williams, Stephen Fry, Hugh Laurie and Emma Thomson, to name a few. And artists still come here hoping to be discovered. Every genre is represented on this very special platform: comedy, theatre, music, poetry and dance in all forms. There are also extra art and sculpture exhibitions shown in local galleries. In 2018, there were 3500 different shows in around 300 venues. For us, catching a comedy show is a real treat as here, top comedians compete for the prestigious Perrier Award. The grand finale showcases the winners and is a must. For other visitors, the highlight is the world-famous Military Tattoo, held in a massive temporary grandstand right next to Edinburgh castle. British, Commonwealth and international military bands have been creating the spectacle since 1949 with the nightly audience growing to nearly 9 thousand. Don’t forget to book a year in advance and watch out for the incredible fireworks at the end of each show. Last but not least, the spectacular Hogmanay (New Year’s Eve) fireworks over Edinburgh Castle! 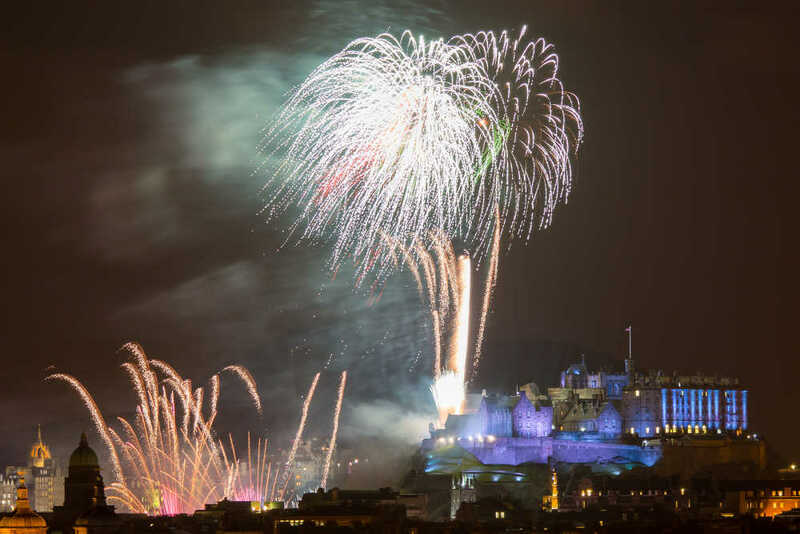 At the start of each year, Edinburgh welcomes in the New Year in style. There is a massive street party that always includes some top headline bands. The celebrations start on 30th December and last for 3 days. It kicks off with a torchlight procession, take the kids and join the thousands walking through the historic city streets. Scotland has a very special relationship with New Year, or Hogmanay as it’s known north of the border. It was for many Scots considered more important than Christmas, probably because the Church of Scotland banned it for 400 years! In fact, believe or not, but Christmas day only became a public holiday in 1958. This explains why the Scottish people have such a special zest for a party on the eve of New Year. The street party atmosphere is amazing, as thousands of merry people flood into Princes street wanting to celebrate together. You will need a ticket and numbers are strictly controlled for everyone’s safety. You can pay a bit extra and have access to Princes Street Gardens and a great view of evening’s entertainment, which includes live bands. Every year’s entertainment is a little different so always check the Edinburgh Hogmanay website for the latest news. The excitement builds as midnight approaches, eyes are fixed on the impressive Balmoral clock, the bells ring in the New Year, there’s euphoria as the crowd celebrates by cheering, kissing and hugging. To top it off, the world’s most incredible fireworks display dramatically erupts from Edinburgh Castle and Calton hill beyond. Around midday on the 1st of January, there is also the opportunity complete the fiesta by taking part in the Loony Dook. Although you might have to be a bit mad. Yes, it involves fancy dress and jumping into the freezing North Sea, while drums beat. It’s all for charity though.